Are you a physician looking to advance your career and provide superior care to your patients? If so, the Master of Science in Advanced Clinical Practice (MSACP) program at National University of Health Sciences might be the perfect fit to help you pursue your career goals. In the MSACP program, you will experience learning about many different disorders and treatment paths. By studying a broader list of conditions, you will enhance your diagnostic skills and learn to better manage an array of clinical conditions. Coursework for this program includes neurophysiology, functional medicine, research methodology, nutrition and wellness, pharmacology, and much more! By broadening your focus, you will be able to provide more value to your patients and expand your practice. If you’re interested in enrolling in the program, but are unsure how to find the time—we’ve got you covered! We’ve redesigned the MSACP program into an online-only format to allow busy physicians, like yourself, to complete the courses on your own time and at your own pace! This format is specially designed for you to integrate your new knowledge directly into patient care while investing minimal office time completing the program. You don’t need to wait to complete the program to begin experiencing its benefits—you can begin adding them to your practice right away. This advanced M.S. degree will allow you to improve your practice in more ways than one. Improved diagnostic and clinical decision-making skills, along with advanced training in integrative medicine will position you for future expansions of scope, as well as enhance your employment and educational opportunities. 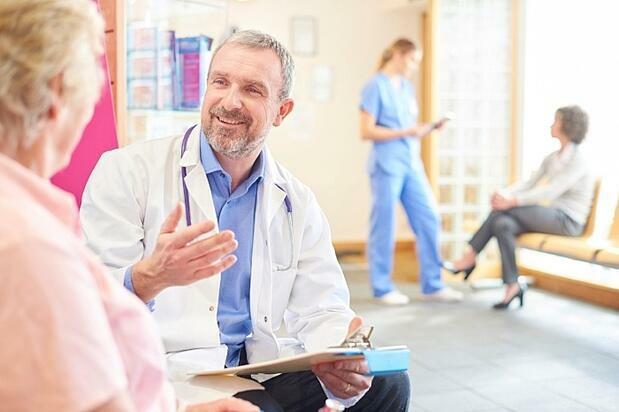 All of these advantages will not only benefit you as a thought leader in your field, but they will also benefit the health and wellness of your patients. MSACP graduate, Dr. Dean Greenwood, is a practicing chiropractic physician in Vancouver, British Columbia. He has been managing a successful practice for 30 years and credits NUHS for helping him grow in his profession. "The MSACP program was the best learning experience I've had since chiropractic college, as well as in my 30 years of professional experience. The diverse training in the program covered a wide variety of topics and was geared specifically toward post-professional degree students. What helped me the most was the emphasis in understanding differential diagnoses and co-managing complex patient conditions." Dr. Evangelia Skokos, also a graduate of the program, is an attending clinician and sees patients in faculty practice at National University’s Whole Health Center. She said the rigor and dimension of the program allowed her to gain what felt like years of experience. “The program helped me understand different patient diagnoses through lab work while also co-managing complex patient conditions. In addition, it allowed me to gain a more expansive knowledge of specific patient populations including men and women's health, pediatrics, and geriatrics. The program really gives you an advanced perspective on health care and the confidence to tackle many different medical conditions." 5) Apply quickly and easily! If you’re ready to get started, grab your computer and begin your application today! There’s nothing to it—so, what are you waiting for!? If you’re currently a practicing physician or an individual looking to advance your career after earning your license, we invite you to learn more about the Master of Science in Advanced Clinical Practice program at National University of Health Sciences. Check out our website for program information, course descriptions, testimonials, and application deadlines! Interested in advancing your career in integrative medicine? If so, sign up to attend our FREE Advanced Clinical Practice Webinar! Jerrilyn Cambron, DC, MPH, PhD, LMT, is the Dean of the College of Allied Health Sciences and Distance Education and a professor in the Department of Research at National University of Health Sciences. She is the immediate past-president of the Massage Therapy Foundation and founder and principal investigator of MassageNet.org (a practice-based research network for massage therapists). Dr. Cambron received her DC degree from National University and her Master in Public Health and doctorate degrees from the University of Illinois at Chicago. She completed a certification program in massage therapy at National University in 2006.